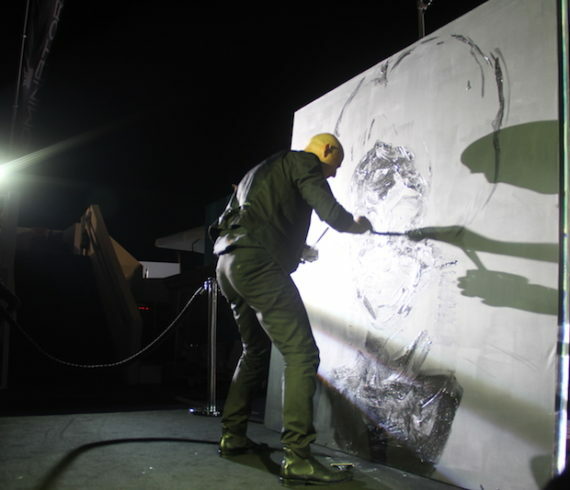 During the Cannes Yacht Show, our talented speed painter realized two paintings in just a few minutes. First he was asked to realized a yacht using the Splash Painting technique. The performance was done right behind the boat in front of all guests. Then, just a few minutes later, still in Cannes, he created the portrait of a lady using the glue and glitters technique. Once again the result was a true success and all family members and guests took the time to take pictures in front of the canva. You can have an idea of this speed painting performance on our YOUTUBE account.